The Chairman’s lunch on Friday is always informative and insightful. If you can arrive early it is well worth the time. The Friday dinner features a tribute to past CRP Chairs. Come thank your favorite past chair for their service. Regional Vice Chair elections are Saturday morning at 9 a.m. The Bay Area, Central Coast and Northwest regions will elect new regional vice chairs. If you are a delegate, be sure to vote in person. Proxy votes are not allowed. Initiatives Committee is tentatively scheduled for Saturday morning. Two initiatives relating to criminal justice reform are likely to be considered: 1) Sentencing reform sponsored by Crime Victims United and, 2) A referendum on the law recently passed by the legislature that eliminates the monetary bail system. Come listen to the discussion. Saturday lunch speaker is U.S. Congresswoman Liz Cheney (R-WY). Saturday afternoon typically features presentations by candidates running for CRP office. The speaker for Saturday dinner is former Trump Press Secretary Sean Spicer, author of a new book: The Briefing. Elections for statewide officers are Sunday morning. Delegate appointments must be finalized by February 5, however Associate Delegate appointments are available until February 12. Please contact us if you would like to attend as an Associate Delegate. We look forward to seeing you in Sacramento. Learn more about Convention details on our CAGOP Convention page. 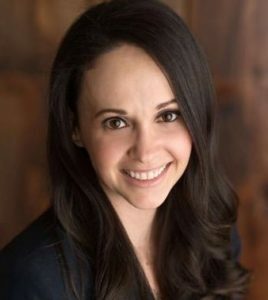 Jessica Patterson, a candidate for Chairman of the California Republican Party, has been working with and leading California Republicans for many years. She has led Republicans in a county party, the state party, gubernatorial campaigns, presidential campaigns, and training legislative candidates. For the past two years Jessica has provided voluntary assistance to the White House Office of Political Affairs to support California visits by the President, Vice President, Cabinet Secretaries and Trump Family. Among her many campaign jobs, Patterson directed the statewide CRP Victory operations in 2010 and 2012. She was the primary Field Director for a gubernatorial campaign, where she recruited county chairs and coordinated thousands of volunteers. In 2008 she was the Nevada Victory Director for presidential nominee John McCain. The majority of Republican legislators have endorsed Jessica Patterson, including Senate Republican Leader Pat Bates, Assembly Republican Leader Marie Waldron, and Congressional Republican Leader Kevin McCarthy. The contest for CRP Chairman started when Jim Brulte announced he would not run for re-election. Jessica Patterson entered the race on January 11th, shortly after David Hadley withdrew. The term of office is two years. Jessica grew up in Hacienda Heights and Montebello, east of Los Angeles. While in high school, she started in politics as a volunteer for Governor Pete Wilson. She earned her Bachelor’s degree at Cal State University-Northridge in political science and government and worked as an intern with Assemblymember Bob Pacheco and then the CRP. Next she served as Executive Director of the Ventura County Republican Party. In 2006 she was a Regional Political Director for Governor Schwarzenegger’s re-election victory. Jessica Patterson is a graduate and board member of the Marian Bergeson Series, which trains the next generation of Republican women in California politics. Jessica is married to Wes Patterson, a nonprofit fundraiser. They and their two daughters live in Simi Valley near the Reagan Library. You can learn more about Jessica Patterson and her campaign on her campaign page.